Get all of the Sneak Peak offers in your inbox right now! I don’t think I know it all! But, I do know I modeled my business over the years to be able to pay myself $100K per year and work less than 10 hours a week. I think anyone would agree that is pretty good money, especially considering the limited amount of time of mine that was required to keep the business operating and profitable. In the book, I share what I learned running my business and from ‘reading’ well over 100 on business, marketing, management, and entrepreneurship. I say ‘reading’ because I am actually terrible at reading…well, not at reading but at comprehending what I read and I simply do not enjoy doing it. That is why I love Audible and highly recommend you start listening to books instead of music while you are working, driving, and working out! Yes, the audible version of Cracking the Code to Profit is coming soon! I am truly honored that you are reading my book. Before you begin I wanted to let you know that all references made in this book are included at the end of the book and are also on our website at LawnCrack.com/book-resources, so you don’t have to stop to note these as you read. I also must add the disclaimer that this book contains my best advice from my experience starting, running, and growing my lawn care and landscaping company. It should not be misconstrued as legal or financial advice in any way, shape, or form. I hope you get everything you were looking for from this book and more. Thank you so much for reading it. I would love to hear what you think about it once you finish. Where to find me is also in the resources with all the links and other resources at the end of the book. I also have included action steps at the end of each chapter. Learning anything does very little for you unless you apply that knowledge. I wish you the very best in life and business. When I was ready to start my lawn care business, I asked my current boss at a local lawn care and landscaping company if it was okay if I began mowing lawns after I got off work. He said, and I quote, “There is enough grass for us all to cut.” That was all I needed to hear! But, he continued, “If I could give you one piece of advice, don’t do it.” I was younger, 24 years old at the time, and thoroughly confused by his last statement. Long story short I didn’t take his advice on not starting a lawn care business, but now I fully understand why he said it. I will come back to this statement at the end of the book. Here is my advice to anyone considering starting their own company. Be prepared to work, a lot. I cannot stress this enough. Owning a business is not for everyone, especially a lawn care or landscaping business. There are a lot of moving parts. Whatever you think it will take, multiply that by 10. This is called The 10x Rule, which is also the title of an excellent book by Grant Cardone that I highly recommend. For you to compete and break into the market, you are going to have to work harder than you expect. Personally, when I was starting my lawn care and landscaping business, I looked at it like I was training for a sport. If you are planning to make a decent living, be forewarned, this line of work is very physically demanding. That is one of the main reasons I spent so much time in the gym. I had to make sure I could physically handle the huge amount of physical labor and fast pace required each day. I continue to work out daily because I enjoy it, and truly feel like it plays a significant role in my ongoing success in business and life. Not to say that you can’t be successful in this industry if you are not in great shape, but it certainly will help and make it much more enjoyable. Lawn care and landscaping is a versatile business to start, in that you can start off part-time making a little extra money, or grow it into a real, full-time business making a good living for yourself, eventually offering employment opportunities to others. It is up to you and what you want your lawn care business to do for you. This is the first important decision you need to make when starting your business. My lawn care business went through all three of these phases, and I had success in each. I, unlike my previous boss, would recommend anyone who has a desire to start a lawn care company to do so. It is very satisfying and can provide you with more income than you could generate at most jobs, especially without requiring a college degree. With that said, it is also going to be more work, both in the field and in the office. So, before you begin, please honestly evaluate yourself to make sure you are ready to handle the bumps in the road because there will be bumps. If you are up to it, I congratulate you and wish you the best. You can make this happen. Before we get too far along, I want to get a couple of things out in the open. 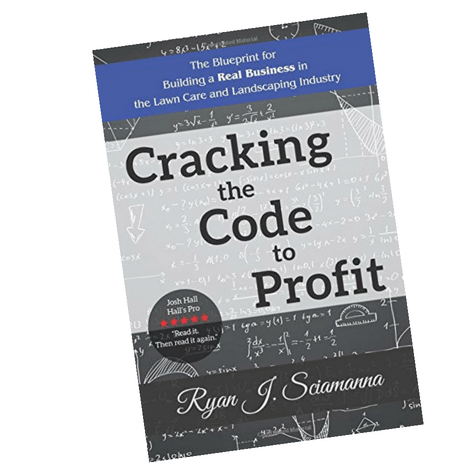 Cracking the Code to Profit is a book packed with real-world advice gained from experience on how to grow your lawn care business into a money-making machine. I started my business with no business management experience what so ever. I did know how to perform the technical aspects of the business from working for other companies. I am a former drug addict, I have had numerous run-ins with the law, and started my business with no money. I only tell you this to let you know if I can do it, so can you. The reason my lawn care business became so successful is because I continued to educate myself on how to properly run a business, market, deal with people, and most importantly, how to think. Self-education is where I feel a lot of business owners fail and is ultimately why they do not succeed. As I said, this is a book on how to grow your lawn care business, but I do feel it necessary to include some practical general advice before we get started although this is not a self-help book. When you go into business for yourself, you are going to lose the boss over your shoulder and the overall structure most jobs provide. What this means is you are going to have to hold yourself accountable and develop structure in your business. You need to be a self-motivated person. The first several years of my business I woke each morning at 5:00 AM and was working by 5:15 AM. I couldn’t wait to get the next day started. I lost this drive my 6th year in business, and that is what lead me to change my course in life. I still love the lawn and landscape industry and am once again up at 5:00 AM ready to tackle the tasks of the day. My new passion is helping others achieve their goals in life, and there is no one else I would rather start with than you, and other lawn care and landscape business owners. Your mindset is going to play a huge role in your success. By this, I mean the thoughts that you allow to dominate your mind, which will eventually manifest in your actions. You may call this your attitude. You will need to keep a positive state of mind. Henry Ford said, “Whether you think you can, or think you can’t, you’re right.” This could not be truer. Ford also said, “Thinking is the hardest work there is, which is probably the reason why so few engage in it.” It is very easy to get wrapped up in the day to day of operating your business and forget to think about how to improve. I have found a great way to keep a positive attitude is to have a mentor or several mentors. In business, this could also be referred to as a business coach. If you think you can become successful without the help of others, you are wrong. Ask any successful person you know if they had a mentor. I guarantee they will say they did. The fact of the matter is, you don’t even have to speak with your mentor. Your mentors can be authors of books you have read. Many of my mentors are well-known authors. Although I have never met these people, they have positively impacted my life, and I doubt I would be where I am without them. Another example that proves this point is professional athletes. These people are the very best in the world at what they do, and still, each and every one has a coach. You will have to stay focused! If you truly believe in your mind that you will succeed in your business, you will have the wherewithal to push through the setbacks. Unsuccessful people do what they want to do. Successful people do what needs to be done, whether they want to do the task at hand or not. It is very important to understand the significance of those last two statements. If you are not willing to do what it takes to succeed, very simply, you will not. You will have to make sacrifices. I will share a couple of the major sacrifices I made when starting my business. The first, and biggest sacrifice, was missing out on the early years of my daughter’s life. She was born over the winter before my third year in business began. I still made it to all the major events, but I did not get to spend any real quality time with her as I would have liked for the first four years of her life. It is honestly still a little painful to think about as I cannot get those precious years back, but fast forward to today, and I have the free time and enough money to spend as much time with her as I possibly can. That is a great feeling. The next big sacrifice I made was in the relationships with my friends. I had made up my mind that I was going to succeed and nothing was going to stop me. My friends did not have the same ambitions as I did and this lead us to grow apart. I spent all my waking hours learning how to become a better business person and building the foundation for a better tomorrow. They were content working regular jobs and just getting by in life. There is nothing wrong with them, and I still enjoy their company when we occasionally get together. Some of my friends are doing very well and have moved away from home to pursue their professional careers. While some others are just now realizing the potential they have and are beginning to act on it. The last sacrifice I will mention is my passion for sports. I was born in Cincinnati and grew up across the river in Kentucky. I was, and still am, a huge Reds fan. The only difference now is I can’t name half the players on the team and don’t have a clue what their record is. I also like to say if I hadn’t snapped the ligament in my throwing arm and had Tommy John surgery my sophomore year of high year, I would be playing for the Reds right now. I used to watch almost every televised game. The bottom line here is, the time I spent watching the Reds was not doing anything for my family or me. I had to make a decision, and I decided my financial future was more important than the entertainment I would receive from watching them play. I know a lot of successful people who are big sports fans, but I know more who are not. Maybe you have heard of Pareto’s principle, which is often referred to as the 80/20 principle. This principle states that 80% of your results will come from 20% of your actions. It holds true in so many aspects of life. I now 80/20 everything in my life and I strongly suggest you do the same. I have never heard anyone else combine the 80/20 rule with another saying, “If you say yes to something, you say no to everything else,” but I am going to now. If you continue to say yes to the 80% of things on your to-do list that are the easy, minimal impact tasks, you are effectively saying no to the 20% of the tasks that will yield 80% of your results. Your results will reflect this poor decision. Instead of letting the 80% consume all of your time because it will try, develop the willpower to knock the 20% out as early in the day as possible. As you add employees, delegate the 80% to them as much as possible. In the meantime, return that important email first thing in the morning, call your customer back to resolve whatever issue they have with your service, and reach out to the clients you wish you had. Not only will this increase your productivity immensely, but you will feel a great sense of pride in knowing you did what had to be done. That positive energy will stay with you throughout the day, and you will feel yourself getting closer to obtaining your goals. So, that is it for my little self-help rant that I felt had to be included in this book for you to get the most out of it. The best book you can read on this subject is Think and Grow Rich by Napoleon Hill. I have only read the book three times, but I met someone who has been reading it for 22 years at a networking meeting. His company is Maximizing Results, and I signed up for his webinar series where he breaks down each chapter of the book. It honestly changed my life, and I am confident it would do the same for you. If you want more information on that, check out http://www.MaximizingResultsLLC.com. First things first, determine the goals of your business. What do you want your business to do for you? What are your long-term goals? Once you know this you can begin. You need to define success before you will be able to achieve it. Without clarity, you can only have confusion. Get a clear mental picture of what you want to achieve in your business and what that will look like. See your trucks, equipment, and employees. Also, see how you will be better able to support your family, what your home will look like in the future, what kind of cars will be in your driveway, and where will you be vacationing. This is what will keep you motivated to keep going. But please understand, if you don’t know where you are going, how will you ever get there or even know if you got there? Don’t skip over this step! Ryan Sciamanna is a serial entrepreneur from Cincinnati, OH. Ryan started his first business, a lawn care and landscaping company located in Northern Kentucky, in 2009. By 2017, he had his business running smoothly without his daily involvement needed. He accomplished this through trial and error and reading well over 100 books on various business-related subjects. Mentors also played a large role in his success, along with a lot of hard work and 80+ hour work weeks. Ryan knows he does not know it all, but it is hard to argue that he does know a lot about building a successful lawn care and landscaping business. He also wants to point out that he is not ‘rich,’ but lives very comfortably, has no worries about paying his bills for years to come, and has gained freedom of time by creating systems in his business which allow his employees to handle the day to day operations. With his time freed up, he now wants to help others get to a similar place, or reach the specific goals they have in their business. That is how Lawn Crack came to be. Lawn Crack is Ryan’s latest business venture. The purpose of Lawn Crack is to provide business owners in the lawn care industry the information and resources needed to build a profitable business that does not require their constant attention. 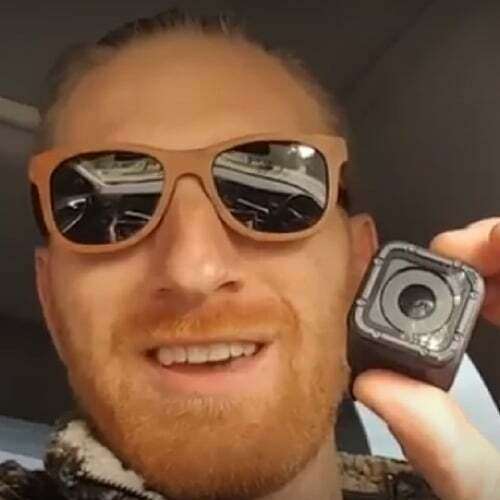 Ryan also builds websites, performs search engine optimization services, and manages online ad campaigns with one of his other companies, Optimized. He is simply fascinated by business, or more specifically, offering goods or services to his customers that provide more value than what he charges. In early 2016 Ryan started reading books more geared to mindset and self-help, as opposed to reading more business books. This really fueled his passion to want to inspire and motivate others to make the most of their lives. When he is not working, which is not often right now as he is a self-proclaimed ‘work-a-holic,’ Ryan enjoys hitting the gym. Although not a freak about it, he also does his best to eat a healthy diet, limit alcohol consumption, and get enough sleep. He believes all of these habits contribute to his ongoing success. His 7-year-old daughter, Michaeyla, is his pride and joy and he really enjoys taking her to gymnastics practice, Dave and Busters, the library, and the park. He is a car guy and hopes to own a fleet of exotic vehicles in the near future. Ryan also wants to travel around the globe to experience the other cultures and see all that the world has to offer. YOU HAVE EVER SEEN. PERIOD. LET ME TRY THAT BAD BOY! Looking for the Profit Calculator? Click the button below to receive the profit calculator. You will automatically receive an email once completing the form. Towards the bottom of the email, there is a button to download the profit calculator. We also now have the Plug and Play Profit and Loss Statement that may be a better fit for your business. We Improved the Original Profit Calculator! We listened as we received feedback on our original profit calculator. We think you will love the new and improved version that includes more service revenue options and uses hourly rates to compensate employees. They are free! Download both and customize them to better fit your needs. If you have any improvement suggestions, please let us know!